The following article is not meant to serve as proof that the timeline proposed by Shigeru Miyamoto in 1998 was, or still is, the most accurate and correct timeline. The storyline connections presented in this article are not necessarily what Miyamoto had in mind, and they are not implied to be intentional timeline indicators by Nintendo. This article is just to explain how, based strictly on materials released during and prior to 1998, the timeline proposed by Miyamoto could work, as opposed to the more commonly accepted timeline at the time. When discussing the Zelda series, the conversation often turns to the subject of the timeline. In what chronological order do the games come together? This question is on the minds of many who call themselves Zelda theorists, but no flawless answer can seem to be found. With fourteen titles spanning twenty years and nearly every Nintendo game console, piecing together a perfect timeline seems impossible. Wind the clocks back to 1993, however, and you’ll find that things weren’t always so confusing. It all started with the original Legend of Zelda for the NES and its direct sequel, Adventure of Link, also for the NES. Both games were simple in story, and fit together perfectly. In 1992, A Link to the Past was released for the SNES, and it also seemed easy to place. Its very name, and the fact that the box the game came in informs you that the characters in this game are the predecessors of the ones from the NES games, clearly pointed to it taking place before the NES releases. The American title of A Link to the Past is not congruent with its original Japanese title of Triforce of the Gods, but at the time, that was irrelevant. The Japanese box pointed to the game as prequeling the original two as well, in stating that this game takes place before Link accomplished a feat. Defeating Ganon in the original Legend of Zelda was likely that feat. Implied as a prequel worldwide, and definitively marketed as such in America, there was no doubt of the game’s placement. However, unlike the first two games, A Link to the Past did not match up perfectly given its reported placement. There were some inconsistencies such as Ganon dying in A Link to the Past‘s ending, yet being alive again in The Legend of Zelda with no explanation for his return. However, inconsistencies such as this would have existed no matter where A Link to the Past was placed in relation to the original games. Most fans simply anticipated that the next game would explain Ganon’s return, but they would be disappointed. The next release, Link’s Awakening for the Gameboy, seemed to take place after A Link to the Past, but the entire game was a dream, and not relevant to the timeline. This time, the story really wasn’t an original. We were dealing with the “The Imprisoning War of the Seven Sages” from the SNES edition Zelda. Ocarina of Time was to serve as the story of the Imprisoning, or Seal, War: the backstory of A Link to the Past. That knowledge alone seemed simple enough, and indicated a placement of Ocarina of Time just before A Link to the Past. However, the ending of the game presented some problems. In the story of the Seal War, Ganondorf enters the Sacred Realm and corrupts it into his Dark World by touching the Triforce. This action causes him to be sealed away by the Seven Sages. All of this happens in Ocarina of Time, but one very glaring continuity problem is presented. A Link to the Past‘s backstory, coupled with the in-game telling of the events, imply that Ganon never left the corrupted Sacred Realm from the time of the Seal War until A Link to the Past. The fact that Ganon ends Ocarina of Time with one Triforce piece in his possession and begins A Link to the Past with all three makes it impossible for such a continuity to exist. Ocarina of Time is the first story, then the original Legend of Zelda, then Zelda II: The Adventure of Link, and finally A Link to the Past. It’s not very clear where Link’s Awakening fits in—it could be anytime after Ocarina of Time. With this, the infamous “Miyamoto Timeline”, and all controversy that came with it, was born. In direct contradiction to the widespread interpretation of the timeline, Miyamoto announced that A Link to the Past was actually the last game in the timeline. However, as we know from the designers working beneath him, he specifically crafted Ocarina of Time as the story of the Seal War. This seemed impossible, as A Link to the Past would be effectively separated from its predecessor by two games. Many thought that perhaps Miyamoto had mispoken, or the quote had been mistranslated. Others pointed to this as a meaningless answer, as Miyamoto is known for putting the importance of gameplay over the importance of storyline. With little explanation given by Miyamoto himself most fans rejected this timeline, and kept A Link to the Past near the beginning of their timelines, holding that the in-game evidence overruled Miyamoto’s brief, vague words. As poorly received as the Miyamoto timeline was, and given the evidence to the contrary of his words, is there really cause to dismiss his chronological arc without examination? At the time of his words, could a timeline in which Ocarina of Time served as the Seal War, but A Link to the Past came at the end really work? You may be surprised at just how well it can function. In the originally heralded placement, The Legend of Zelda came after A Link to the Past. For this to work, it had to be assumed that at some time in between the two games, Ganon was either reborn, or revived. Also, the Triforce, which resided in the Sacred Realm in A Link to the Past‘s ending, needed to brought back into Hyrule. Once brought into the possession of the Royal Family, one of its three pieces, the Triforce of Power, would eventually be snatched by Ganon, setting the stage for The Legend of Zelda. With Ocarina of Time as The Legend of Zelda‘s prequel, a reborn or revived Ganon is no longer necessary as he is only sealed, and not killed, in Ocarina of Time‘s ending. Examining the manual for The Legend of Zelda reveals that Ocarina of Time serves very well as its backstory. While the story element of the Sealing of the Sacred Realm was clearly intended to be the events referenced in the backstory of A Link to the Past, several other elements match up with the backstory of The Legend of Zelda surprisingly well. The first thing to note is Ganon’s title. He is specifically referred to in the Japanese as the Daimaou, or Great Demon King. This presents a possible problem for those who place A Link to the Past directly before The Legend of Zelda as A Link to the Past refers to him not as the Daimaou, but as the Yami no Maou, or Demon King of Darkness. Since Ocarina of Time was created as A Link to the Past’s backstory, one would assume Ganon would bear the same title in the two games, but he does not. Looking to Ocarina of Time, we again see Ganon with the title of Great Demon King. While he’s generally just referred to as the less-specific Demon King, several characters call him the Great Demon King. Ganon is never given this title at any time in A Link to the Past. The second story element is that he led a smaller portion of his overall force into Hyrule. Many believe that Ganondorf was alone in his attack on Hyrule in Ocarina of Time, but this is not so. This quote is often missed, as it’s not easily found. After receiving the Ocarina of Time from Zelda, but before pulling the Master Sword for the first time, a dying soldier can be found in an alleyway. Just as in The Legend of Zelda‘s backstory, Ocarina of Time features Ganon and his minions invading the kingdom of Hyrule. The final element of the story is that Ganon personally snatched up the Triforce of Power. The English translation makes it sound as if his army got it for him, but the Japanese text makes it clear that Ganon was personally responsible for the acquisition of the Triforce of Power. In Ocarina of Time Ganon had planned on obtaining the entire Triforce, but he did not succeed. Thus, in The Legend of Zelda‘s backstory, the Great Demon King Ganon and an army corps invaded Hyrule, and Ganon personally snatched the Triforce of Power. In Ocarina of Time Ganondorf and some followers invaded Hyrule, Ganondorf touched the Triforce and became the Great Demon King Ganon, and the Triforce of Power remained in his hand. Though not identical, the two stories are clearly very similar, and the concept of Ocarina of Time directly preceding The Legend of Zelda is not as farfetched as many believed at the time. In order to properly place The Legend of Zelda and its sequel Adventure of Link, the issue of the Adventure of Link backstory has to be resolved. The Adventure of Link manual contains two stories that must precede the game. The first story, known as the Sleeping Zelda story, speaks of a ruler who was able to maintain peace in Hyrule with the Triforce. Prior to his death, he revealed a secret about the Triforce to his daughter, Princess Zelda. When the ruler died, the Prince of the kingdom was only able to inherit the Triforce in part. When informed by a wizard that Princess Zelda knew some secret about the Triforce, he tried to get the information out of her, but she wouldn’t tell him. The wizard then cast a spell on Zelda, putting her into an eternal sleep. The Prince was filled with grief, and declared that all female royalty would be named Zelda from then on in rememberance of the tragedy. This story was designed to explain why all the Princesses of Hyrule are named Zelda, and thus, it is implied to happen before any of the other games. The Japanese text makes this even more evident, as this Zelda is referred to as the “first generation” or “founder” Zelda. The second story is written on a scroll that Link reads. Many assume it is written by the ruler from the first story, as this is implied, but never definitively stated. The scroll writer was unable to find anyone worthy to weild the power of all three Triforce pieces with a pure heart. Becuase of this, he hid the Triforce of Courage inside the Great Palace, which was then sealed by six crystals. He also cast a spell so that when the worthy person appeared and came of age, a Triforce symbol would appear on his left hand to signify that he was the one. If, as many assume, these two stories are related and happen in the same general timeframe, there are complications. With the commonly accepted timeline, the backstory would have to take place after A Link to the Past and before the original NES games, as the Triforce of Courage remains hidden from the time of the backstory till the end of Adventure of Link. This hiding cannot occur pre-A Link to the Past becuase all three Triforce pieces are together in A Link to the Past. The problem with this is that the Sleeping Zelda would then have to be the Zelda we see in A Link to the Past, which would mean she is not the “first generation” or “founder” Zelda, as Ocarina of Time Zelda preceded her. To solve this dilemna, some determine that the two stories are separate. The Sleeping Zelda story takes place after Ocarina of Time, and the story of the scroll happens after A Link to the Past. However, this also presents a problem, as Adventure of Link shows that to wake up the Sleeping Zelda, the Triforce must simply be united. The Triforce is united in A Link to the Past, yet the Sleeping Zelda remains asleep for no apparent reason. Also, Link is able to wish upon the Triforce and restore Hyrule in the game’s ending, so why does the scroll writer say there is no one worthy to wield the Triforce? Going by the Miyamoto Timeline there’s no need to speculate about the two stories potentially happening at different times, as there are no games in between Ocarina of Time and the NES games in this theory. However, there are still problems. The scroll states that, while the Triforce of Courage was hidden, the other two Triforce pieces remain in the kingdom. This is not true of a post-Ocarina of Time world, because the Triforce of Power is not in Hyrule proper, but with Ganon, sealed away in the corrupted Sacred Realm. There is also issue with the fact that the great ruler maintained peace with the Triforce. Clearly, the King at the time of and after Ocarina of Time did not possess the full Triforce. Believers in the Miyamoto timeline counter this argument by saying the Royal Family used the Triforce of Wisdom which Zelda possessed to maintain peace in the kingdom, but the story certainly does not flow as well in that aspect as it does in A Link to the Past where the Triforce is completed. 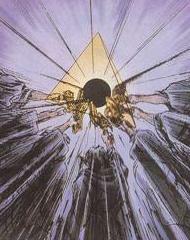 Another possibility is that by keeping the Triforce locked in the Sacred Realm, the King was maintaing order. A Link to the Past states that the Sages are under the command of the King, and we also know that they guard the Sacred Realm. Thus, it’s possible that by ordering the Sages to guard the Triforce, the King was in fact maintaing peace. For both sides, the Adventure of Link backstory was still a bit of a nuisance, requiring some speculation and interpretation. In both timelines, it seemed impossible to fit both of the stories in without contradicting the games. Fortunately for the frustrated Zelda fans, Nintendo gave indication that perhaps they didn’t need to construct their timelines with both Adventure of Link stories in mind. The various re-releases of Advenure of Link made after A Link to the Past and around the time of Ocarina of Time‘s release no longer contained the two stories in their entirety. The stories were shortened, and key elementes were removed. Some believe this was simply done to save space, while others felt it was timeline-relevant. By removing parts of the story, they believed the manual was retconned into a story that was much easier to place in a timeline. The [first generation or founder] Princess Zelda has been placed in an eternal sleep, and the Triforce of Courage has been hidden inside the sealed-off Great Palace. No mention of the great ruler, the interrogation of the Prince and wizard, or the scroll writer’s involevment in the hiding of the Triforce of Courage is made. This simplified story is much easier to place in a timeline. 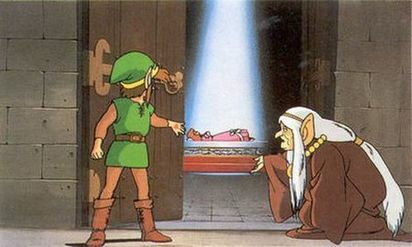 Unfortunately for those who place the NES games last, there is still a lack of an explanation for why the Sleeping Zelda was not simply awakened at the time of A Link to the Past. Some assume that while Link was worthy to wish on the Triforce, he wasn’t worthy to open the door to the Sleeping Zelda’s room. While this could be true, it seems unlikely. 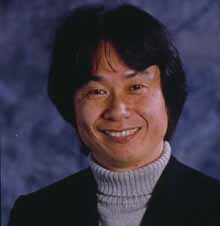 For those following the Miyamoto Timeline, the obstacles in the way of placing the story had been removed. No longer was there need for explaining how Ocarina of Time‘s King maintaned peace with the Triforce, nor was there any need to explain away the line about the other two Triforce pieces remaining in the kingdom. In fact, the state of the Triforce at the end of Ocarina of Time lent itself fairly well to this shortened Adventure of Link backstory. Ganon fulfills The Legend of Zelda‘s backstory by stealing the Triforce of Power, and is then sealed away. Princess Zelda is in possession of the Triforce of Wisdom, easily explaining why the Princess Zelda of The Legend of Zelda has it. The Triforce of Courage is in possession of Link, but he is then sent back in time. Many believe this action caused him to be separated from his Triforce of Courage, as taking it back in time would cause there to be two Triforce of Courage pieces in the past, but none in the future. If the Triforce of Courage remained in the adult ending of Ocarina of Time when Link returned to his childhood, it would have no worthy holder in that time period, as Link was chosen of the gods to wield it. Because of this, it would likely then be hidden. With the Triforce of Power in Ganon’s hands, the Triforce of Wisdom in Zelda’s, and the Triforce of Courage hidden, the stage would be set for both The Legend of Zelda and Adventure of Link. The commonly accepted timeline has the advantage of a direct progression of Ocarina of Time to A Link to the Past, but along with that, a pair of problems. How did all three Triforce pieces end up in the Sacred Realm and why does Ganon’s title change between games? With the Miyamoto Timeline’s progression of Adventure of Link to A Link to the Past, both of those questioned are answered. Adventure of Link ends with all three Triforce pieces together in Link’s possession, and it’s not much of a stretch to assume that Link had it placed back in the Sacred Realm for protection after awakening the Sleeping Zelda. If the scroll writer took precautions to protect the Triforce from evil, it makes sense that Link would as well. Ganon’s change in title from the NES games to A Link to the Past can be explained by the reincarnating or reviving that would need to occur to bring him back. For the Miyamoto Timeline, there is, however, the problem of the Seal War. With Ocarina of Time and A Link to the Past separated by the NES games, how can Ocarina of Time serve as the Seal War? The only way for this to be possible is if Ganon’s escape from the Dark World after Ocarina of Time and before The Legend of Zelda was done in a way that did not destroy the Seal. In that way, Ocarina of Time would still serve as the Seal War, and Ganon’s re-entry into the Sacred Realm to claim the complete Triforce would spark the events of A Link to the Past. By making Ocarina of Time as the Seal War story, but designing it in such a way that it can not directly connect, it’s possible that Ganon re-entering the Sacred Realm is in fact what was intended, but is there any other evidence for this? The one who rediscovered the Golden Land was an evil thief named Ganondorf. After rescuing one of the seven Maidens in A Link to the Past, two important things are revealed. First, when Ganondorf entered the Sacred Realm prior to A Link to the Past, it was during a period of time where all knowledge of its location was lost. That description does not match Ocarina of Time, where several, such as Zelda, know its location, and even a Gossip Stone says where it is. Secondly, when Ganondorf entered the Sacred Realm, he couldn’t figure out how to return. Again, this doesn’t match Ocarina of Time, where Ganon did return, and ruled Hyrule for seven years afterwards, until being sealed away. Since neither of these details match Ocarina of Time, which was designed as the Seal War story, it’s theorized that this quote refers not to the Seal War, but to Ganon’s re-entry into the Sacred Realm. With all knowledge of the Sacred Realm being lost sometime after Ocarina of Time, the reborn or resurrected Ganondorf re-discovered it. After entering, he was able to obtain the complete Triforce, but he couldn’t figure out how to return to the Light World. Why? Becuase the Seal cast in Ocarina of Time‘s ending still remained, thus setting the stage for A Link to the Past. Also called “The Third Quest”, BS: Legend of Zelda was broadcast via Broadcast Satellaview, or BS-X, in 1995, and again 1996. The game is essentially a remake of the original Legend of Zelda, with an altered overworld, completely different dungeons, and a few changes made to storyline and gameplay. The canonicity of this game is questioned by many, but it should be noted that Ancient Stone Tablets, another game for the Broadcast Satellaview that was released two years later, is mentioned in the “Zelda no Video” documentary, and these two games share the same Hero. These games are played not as Link, but as “The Hero of Light”, who is supposed to be a boy or girl from our world, and is represented by the BS-X mascot. 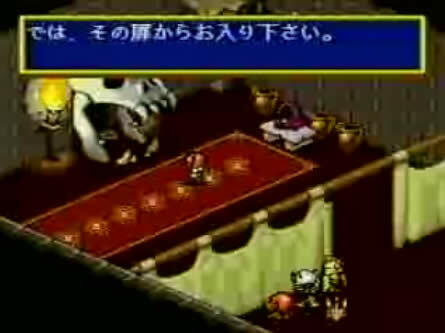 The game features the Hero of Light meeting with a strange fortune teller, who tricks him into entering a door fashioned out of a large skull. The fortune teller promises the Hero a secret membership certificate if he can successfully collect all of the Triforce. What lies on the other side of the door is an apparent parallel world to the Hyrule of the original Legend of Zelda. The Hero of Light effectively enters into the story and time of The Legend of Zelda, but with modifications made to it. The important thing to note is that while the fortune teller is enticing the Hero to enter, a narrator is setting the stage for the adventure you’re about to partake in, by telling the backstory. However, instead of telling the short, simple backstory of Ganon’s invasion from The Legend of Zelda‘s manual, the narrator sets the stage for the game by telling the story of the Seal War. The Seal War story is being told throughout the intro of the game, until just after the Hero passes through the skull door. On the other side, the story then shifts to Princess Zelda calling out for help from the Hero. The Seal War, in BS: Legend of Zelda replaces the original backstory as the explanation of how Ganon got the Triforce of Power, and why Zelda had to protect the Triforce of Wisdom. This implies that Ganon only got one Triforce piece during the Seal War, a concept that was echoed three years later when Ocarina of Time was released. More importantly though, it implies that The Legend of Zelda occurs in between Ocarina of Time, or the Seal War, and A Link to the Past, just as Miyamoto said it does. If the Seal War directly connected to A Link to the Past with no games in between, then there would be no reason to tell the story of the Seal War in relation to The Legend of Zelda, because it should only relate to A Link to the Past. Is the Miyamoto Timeline the correct order? Was it at the time? We can’t really know for sure. Was Miyamoto himself thinking of all these connections at the time of his fated quote? Chances are he was not. The timeline is truly an intricate and confusing topic, and any attempts to construct it properly will likely lead to the same reaction Miyamoto received. Because of Nintendo’s policy of putting gameplay over storyline, constructing a timeline will always take speculation, and cause controversy, but that won’t stop dedicated Zelda theorists. Whether or not the timeline proposed by Miyamoto is correct, it’s very interesting to see how it could possibly all come together, and even arguably function better than its competition. Since Nintendo is not likely to ever release the official timeline, it is up to us, the fans and theorists, to explore it.